Start off your visit on the 30th (Tue): cast your line with a fishing tour and then stop by Lydia Beech Art Boutique. On your second day here, get a new perspective on things with Boat Tours & Water Sports, find your balance on the water with some of the best stand-up paddleboarding in the area, and then view the masterpieces at Con Mucho Gusto. For maps, more things to do, and more tourist information, go to the Tamarindo sightseeing website . Port Harcourt, Nigeria to Tamarindo is an approximately 34-hour flight. Traveling from Port Harcourt to Tamarindo, you'll gain 7 hours due to the time zone difference. Finish your sightseeing early on the 1st (Wed) to allow enough time to drive to La Fortuna de San Carlos. Kick off your visit on the 2nd (Thu): trek along Ecocentro Danaus, let the river carry you with a rafting and tubing tour, and then witness a stunning natural landmark at Paradise Hot Springs. Get ready for a full day of sightseeing on the 3rd (Fri): witness a stunning natural landmark at Tabacon Hot Springs and then identify plant and animal life at Arenal Natura Ecological Park. To find maps, reviews, more things to do, and more tourist information, read our La Fortuna de San Carlos online day trip planner . You can drive from Tamarindo to La Fortuna de San Carlos in 4 hours. Alternatively, you can take a shuttle; or take a bus. 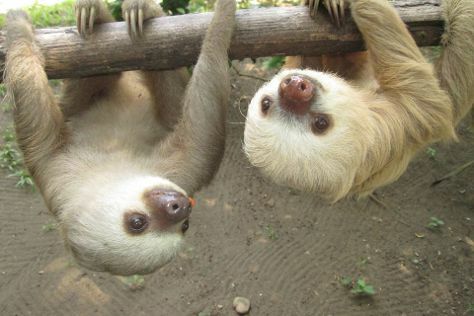 Cap off your sightseeing on the 3rd (Fri) early enough to go by car to Manuel Antonio. Start off your visit on the 4th (Sat): kick back and relax at Playa Manuel Antonio and then look for all kinds of wild species at Rainmaker Park. Get ready for a full day of sightseeing on the 5th (Sun): fly like a bird with a parasailing or paragliding tour, take a memorable tour with Tours, and then relax and rejuvenate at some of the top local wellness centers. You can plan Manuel Antonio trip in no time by asking Inspirock to help create your itinerary. Traveling by car from La Fortuna de San Carlos to Manuel Antonio takes 4.5 hours. Alternatively, you can take a shuttle; or take a bus. Finish your sightseeing early on the 5th (Sun) to allow enough time to drive to Puerto Viejo de Talamanca. On the 6th (Mon), look for all kinds of wild species at Tree of Life Wildlife Rescue Center and Botanical Gardens, kick back and relax at Playa Chiquita, and then kick back and relax at Playa Cocles. Get ready for a full day of sightseeing on the 7th (Tue): kick back and relax at Punta Uva Beach and then identify plant and animal life at Nature Observatorio. For photos, ratings, traveler tips, and other tourist information, use the Puerto Viejo de Talamanca day trip planning website . Traveling by car from Manuel Antonio to Puerto Viejo de Talamanca takes 7 hours. Alternatively, you can take a bus; or take a bus. Wrap up your sightseeing on the 7th (Tue) early enough to travel back home.